Our RD Sharma Textbook Solutions are considered extremely helpful for solving the tough questions which are asked in the CBSE Class 9 exam. TopperLearning Textbook Solutions are compiled by subject experts. Herein, you can find all the answers to the textbook questions for Chapter 8 - Co-ordinate Geometry. 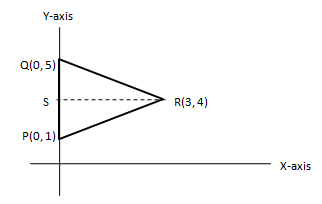 The point of intersection of co-ordinate axes i.e. X-axis and Y-axis is (0, 0), which is called origin. so X-value is positive and Y-value is negative, i.e. Fourth Quadrant. So, points lies on X-axis. 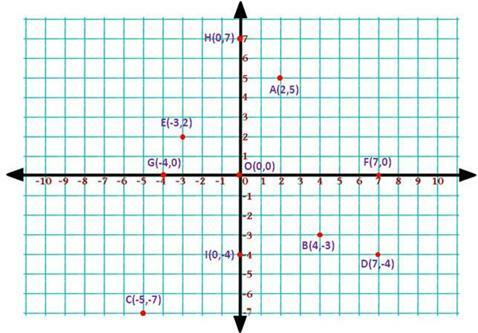 If intercept on X-axis is positive, means First and Fourth quadrant. 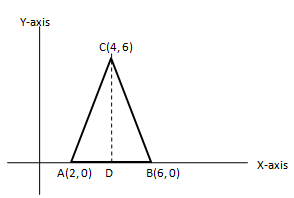 Let two points be (a, b) and (a, c). TopperLearning provides step-by-step solutions for each question in each chapter in the RD Sharma textbook for class 9. Access the CBSE Class 9 Mathematics Chapter 8 - Co-ordinate Geometry for free. The textbook questions have been solved by our subject matter experts to help you understand how to answer them. Our RD Sharma Textbook Solutions will help you to study and revise, and you can easily clear your fundamentals of Chapter 8 - Co-ordinate Geometry.